My experience with Mew at the Bluebird Theater was nothing short of impactful. The immersive, progressive rock band stayed primarily backlit the entire show, leaving only their outlines to be visible to the audience. The band’s dream-like appearance and sound resonated deeply not only with myself but the entire crowd as I saw people dance, smile, and even wipe away tears. The set started with “In a Better Place,” a song off Mew’s new album, ‘Visuals.’ The set jumped around, and the band played favorites from their earlier albums such as “Zookeeper’s Boy,” “Satellites,” and “Snow Brigade.” At the end of each song I couldn’t help but audibly yell “WOW” as I was taken back by the band’s unique melodies and ethereal presentation. The girl standing next to me told me this was her favorite band of all time, and I wouldn’t be surprised to find out at least half the crowd feels the same way. In unison, the audience moved and sang together. A highlight of the show was definitely the encore. Mew played three songs off of their 1997 album ‘Eggs are Funny. Am I Wry? No,’ and got the entire crowd dancing. This energy lead into the more somber and powerful song “156.” The band ended with “Comforting Sounds,” which I am still processing to this moment. The song builds into a loud and triumphant sound with lead singer Jonas Bjerre’s voice, soaring to places I didn’t think it could go. At the end of the show, I looked around and saw several wiping their eyes and taking their glasses off, to addressing the tears in their eyes from the sheer beauty of the last song. 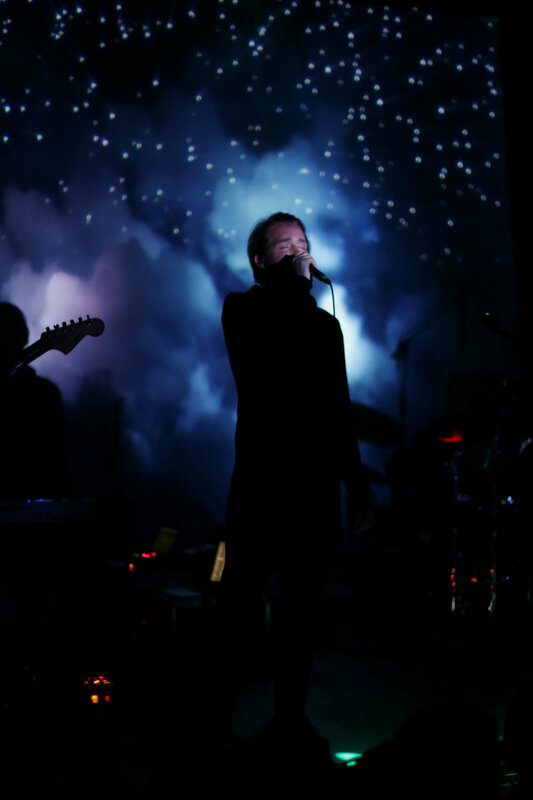 Mew has left a last impression of what music, and especially live music should feel like. I appreciate their ability to put their listeners into a unique space of passion and vulnerability with their thoughtful music.